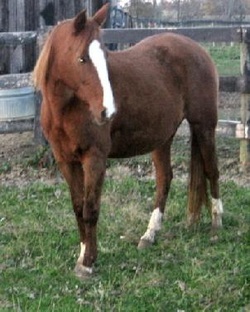 Minnie was a blue ribbon show pony until her family outgrew her. She is 31 years old and still full of energy. She would really like to have some new clothes. These leather halters last for years and the horses look so nice in them and they have their name on them.